Purim, the cheeriest of all Jewish holidays, begins at sundown Wednesday night (March 23). 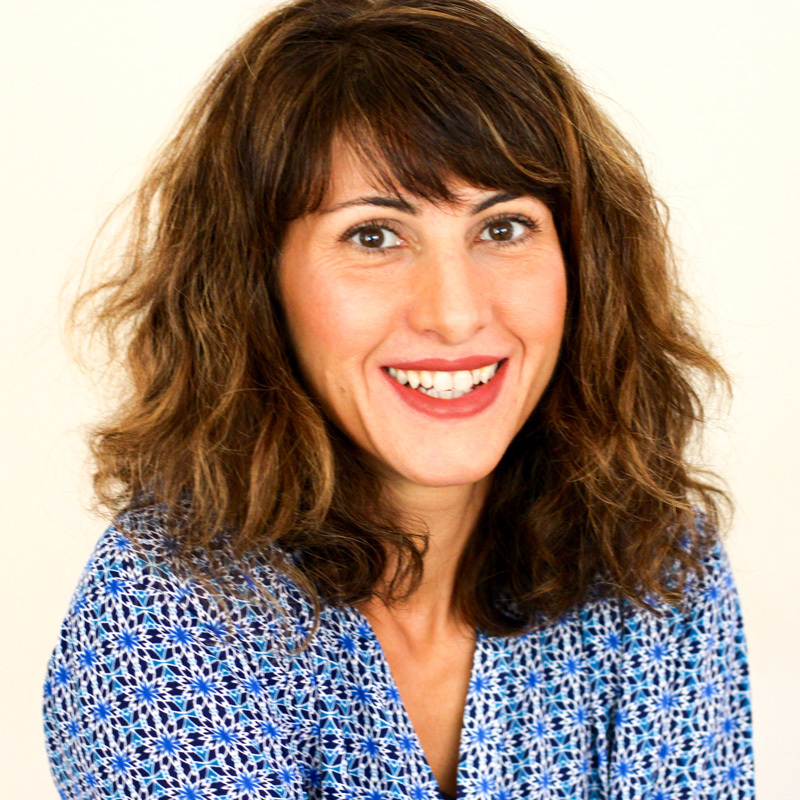 It’s when we celebrate the oppression from the evil chief minister of King Ahasuerus in Persia (more on the history here). A holiday dubbed as the “Jewish Mardi Gras”, Purim calls for lots of drinking, eating, dressing in costume and giving of food (usually sweet) gifts to others called Mishloach Manot in Hebrew. And when we celebrate with hamantaschen cookies. Hamantaschen cookies: Jewish holiday or not, a necessity. As said by me. Hehe. 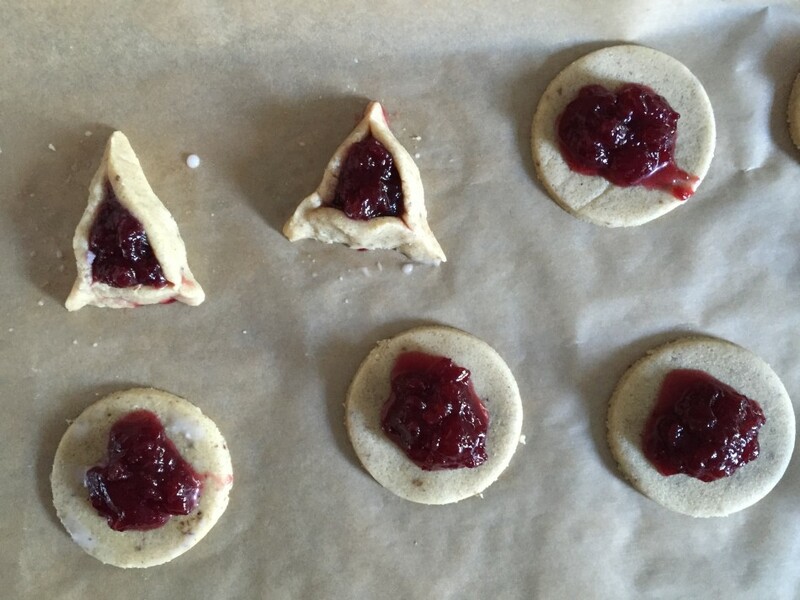 These triangular cookies traditionally filled with jam or poppy are shaped this way to resemble Haman’s tri-cornered hat and remember our victory as told in the book of Esther. Nowadays, you can find all sorts of hipsteresque ones with all sorts of fillings and cookie dough on the web. In our house, we like them more on the traditional side, like the ones I remember from the bakery. 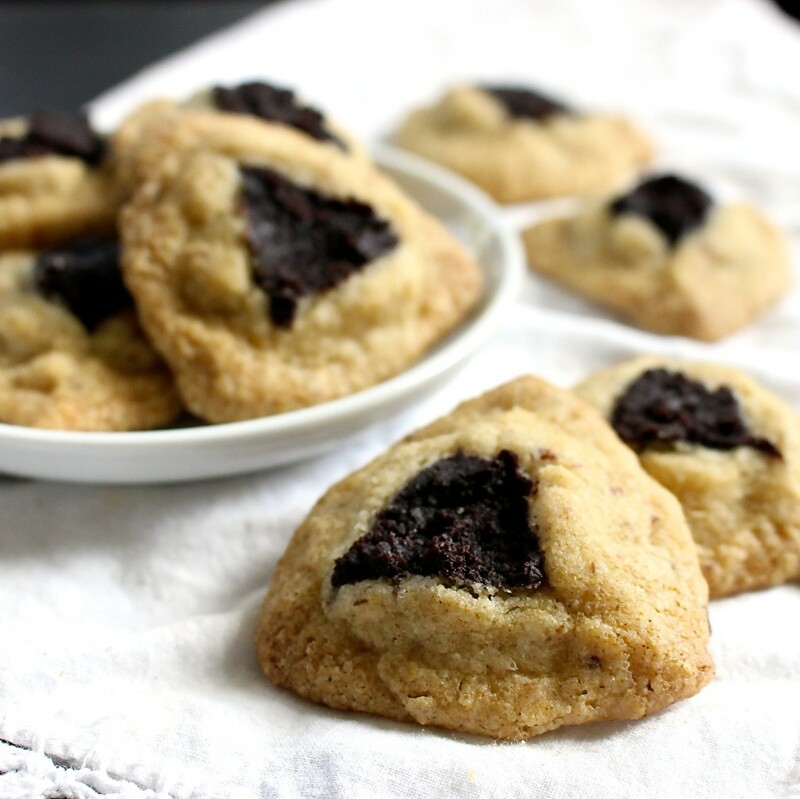 Even if Purim is not a holiday you are familiar with, hamantaschen cookies are delicious and unapologetically addictive – and who doesn’t love a good cookie? 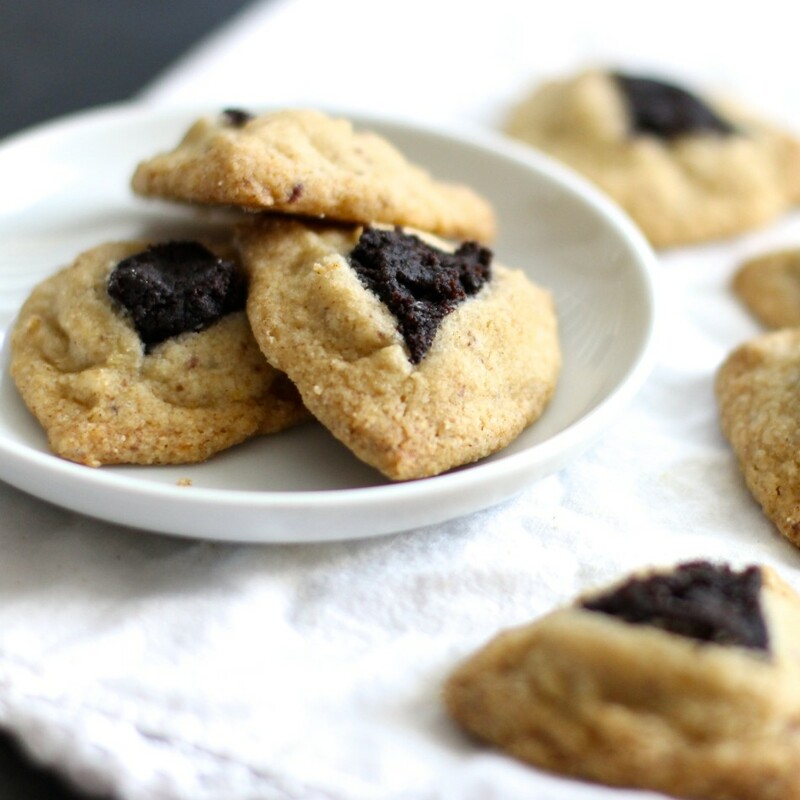 Once you taste this buttery, galette-like-crust cookie (yes really, wait until you try it) filled with an almost nutty-like, sweet but not overly sweet poppy filling will have you thinking this festive Purim cookie rolling and pinching was well worth it. Now my days of routinely wearing a Queen Esther costume year after year may be over, but hamantaschen never get old. 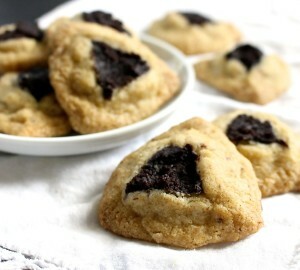 Even if the last time you have made these was in Hebrew school or for a Christmas cookie exchange eons ago – no worries. It’s not all that complicated, with the notes below and step-by-step photos you’ve got this. When I first made them gluten and dairy free seven years ago, it took me over two hours before getting them in the oven since I didn’t have much of a tutorial on how to work with gluten/dairy free dough, after all that (what I thought was sealed) pinching, they didn’t hold up in the oven. Jam all over the pan. A fail, to say the least. 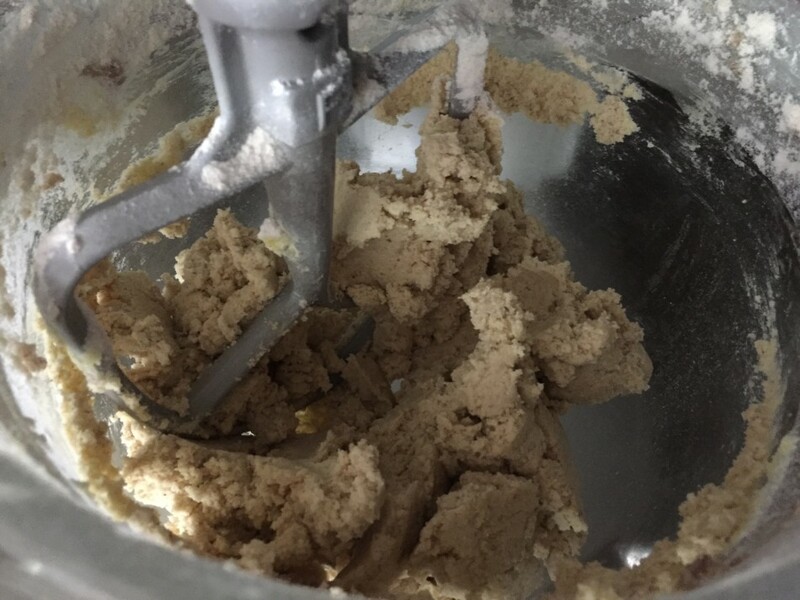 Little tips like brushing the dough before pinching and ensuring the dough be cold are the little things that make a world of difference in successful hamantaschen baking without gluten, dairy, and egg. It was three years later when screeches combined with leaps of joy resulted after seeing my tri-cornered cookies were perfectly filled and golden brown. Oh happy day it was! 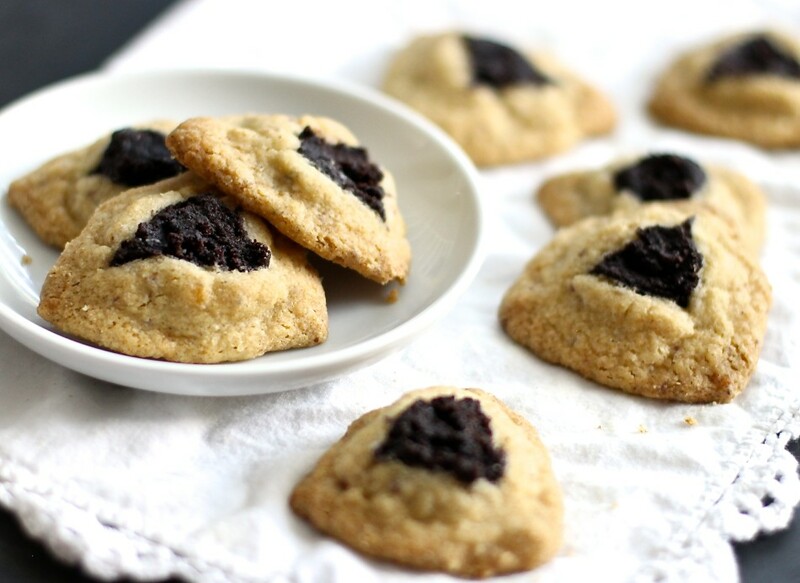 As much as we love jam filled hamantaschen, poppy seed is also a favorite. Although I will admit, I have not met a hamantaschen cookie flavor I didn’t like. I made half with poppy and the other half with morello cherry jam this year (Morello is darker in color than Montgomery with a similar very tart flavor that offsets the sweet cookie beautifully). I used Crofter’s Premium Spread Morello Jam (in case you were wondering, not a plug just the best jams in my opinion) because around here, we need a little jam in our lives. Whether, all poppy, all jam or both, put the music on, make plenty and enjoy! I forgot to photograph the poppy filled ones and the brushed on wet mixture (got caught up in cookie making and filling noshing); brush around the edges before pinching. Any cracks can be sealed with an additional brush of wet mixture. I fill generously for an even cookie to filling ratio, use less if you prefer more cookie. For me, folding tends to break the dough with jam all over the place. If it’s easier for you go ahead and fold, whatever works best! 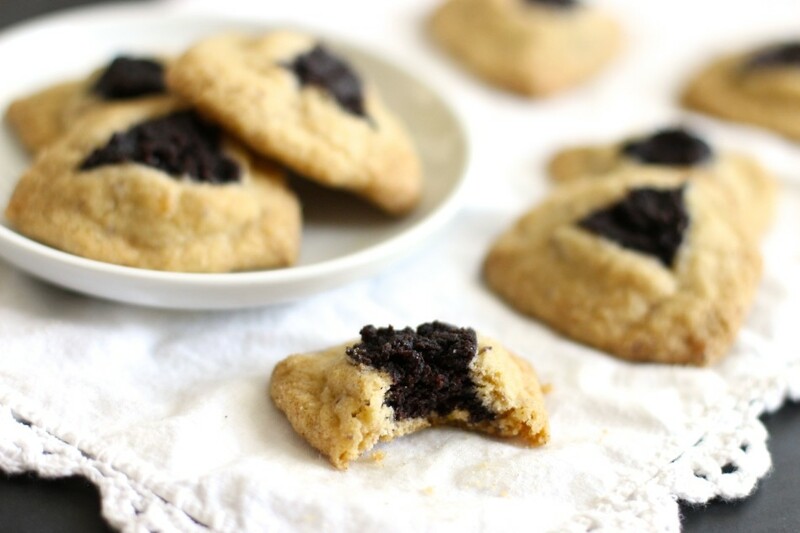 Poppy seed filled hamantaschen cookies, traditionally made for the Jewish holiday Purim beginning Wednesday at sundown (March 23, 2016), tastes similar to a buttery, shortbread cookie with the filling sweet but not overly sweet with a distinct slightly nutty taste that is unapologetically addictive and should not be left for Purim alone. A delicious cookie worthy of any holiday. Freezer friendly too. Please read through the recipe and notes before beginning to schedule your time accordingly. 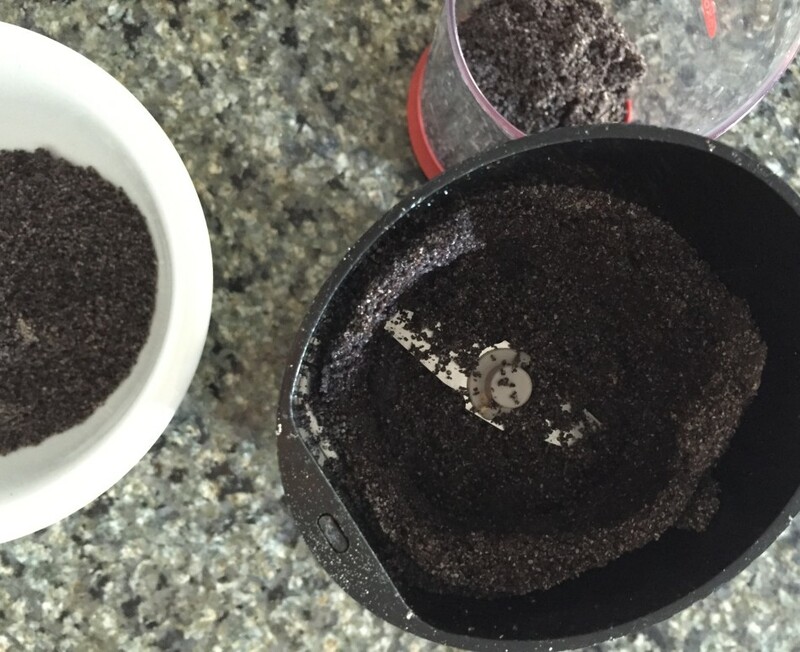 Grind poppy seeds in a coffee grinder or food processor to a fine crumb then transfer to a bowl. Grinding is important to achieve a smooth filling. 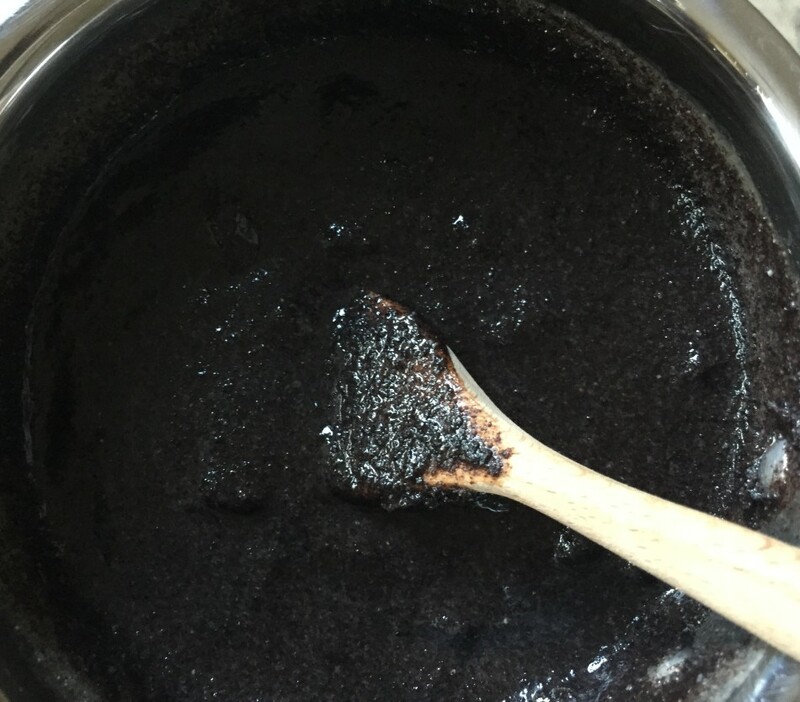 In a small saucepan, place all the ingredients including ground poppy seeds. Cook, while stirring occasionally on medium heat for 5 minutes, or until thickened. Transfer to a small bowl and let it cool before filling. In a small bowl add flaxseed meal and hot water, stir to combine. Set in the refrigerator until ready to use. It thickens up better when slightly chilled. In a medium bowl combine flours, baking powder, salt and set aside. 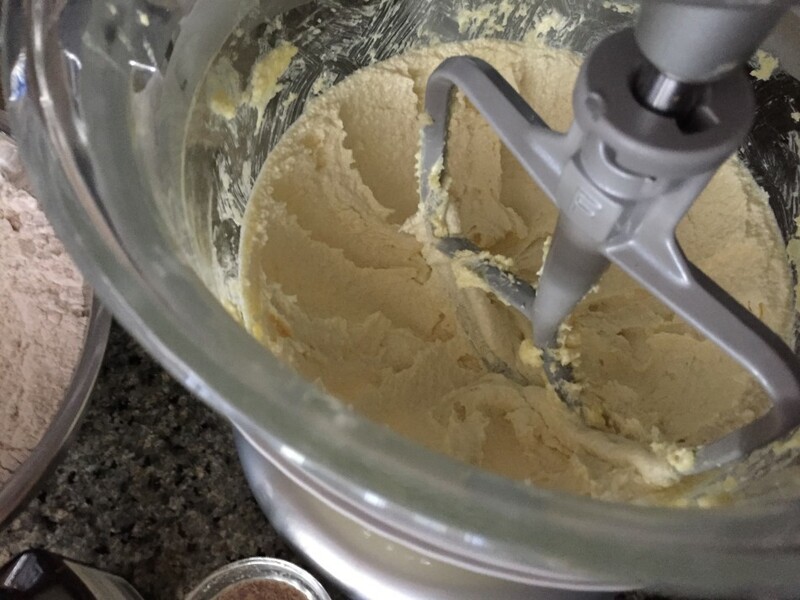 In a stand mixer set with a paddle attachment, cream shortening, and sugar on medium speed (start on low speed to prevent your sugar from flying) for 3-4 minutes or until pale in color and creamy. Add vanilla, flax mixture, and dry ingredients. Mix for ½ a minute, or less, until it starts to stick together and looks like dough. Cover and chill overnight. The dough will also stay fresh in the fridge for up to 3 days or frozen for 2 months. Remove from refrigerator and let it sit on the counter for an hour until easily bent. At this time preheat the oven to 375 degrees F/190 degrees C.
Prepare a small bowl with 1 tablespoon each of coconut milk and water for shaping cookies. Cut the dough in half for easy rolling. If it’s warm in your kitchen, chill the remaining half to keep it from getting too soft. The idea is that the dough shouldn’t feel greasy - if it does then you know it’s too soft and will not be easy to work with. Dust a piece of parchment paper (sized for your baking sheets) with a little flour set on a flat surface area or large cutting board for rolling. Roll out dough to about a ¼ inch thick. Cut out circles, 2-3 inches round and gently pull away circles from scraps using a dough scraper or small spatula. Remove scraps and transfer onto another lightly dusted piece of parchment paper (make sure it’s sized for your baking sheet). 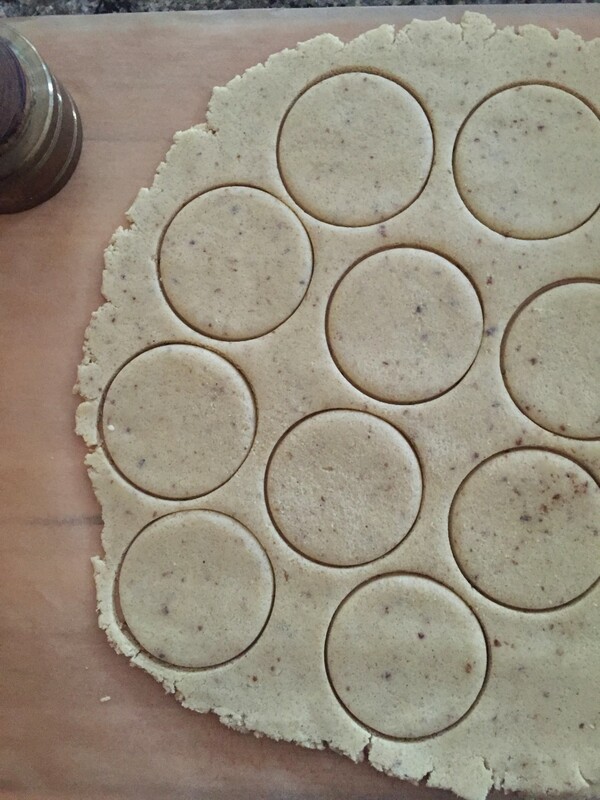 Keep the cut-out circles on the original parchment paper and gently lift up and onto your baking sheet. Space rounds 1-2 inches apart. Repeat until all the circles have been cut out. If the cut-out dough appears too soft to handle, refrigerate for 15 minutes before beginning to fill. With limited refrigerator space, chill one baking sheet at a time to work in batches. 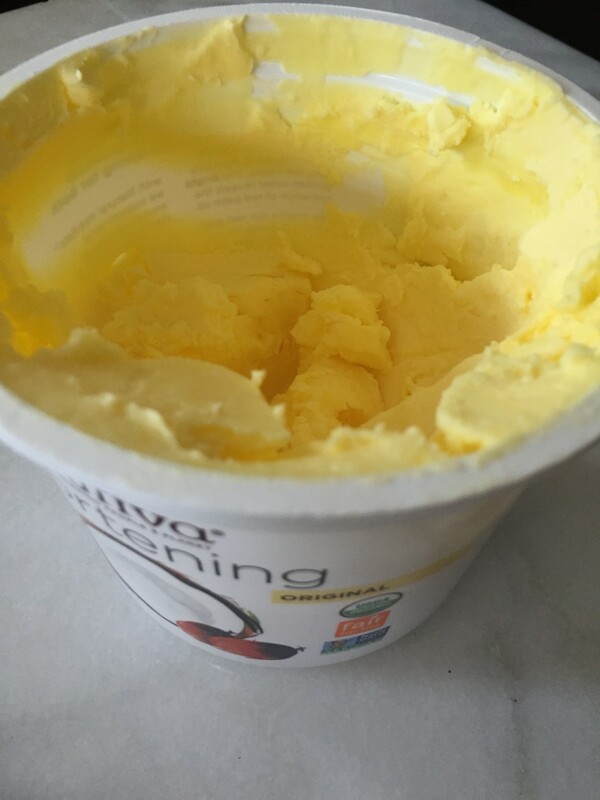 Scoop ½ to ¾ teaspoon into the center of each round. Using a small pastry brush, lightly brush the coconut milk/water mixture on the edges working in small batches of 4 or 5 (otherwise the dough will absorb the water mixture). Gently lift three sides, as if to form a triangle, and pinch together the damp dough edges tightly to resemble a triangle. It may be easier to lift and pinch while holding the dough round. Be sure to check if the edges have cracked. If so, brush exposed areas with coconut milk/water mixture to seal up. The poppy seed filling should be exposed. Repeat until all cookies have been filled and shaped then re-position (if needed) to space 1 to 2 inches apart on the baking sheet. Bake for 13-15 minutes, or until the edges appear golden brown. As ovens vary, you may need a minute longer if the edges don't appear golden brown. Let them cool for 10-15 minutes on the baking sheets then transfer to cooling racks or continue to cool on baking sheets (see notes below). 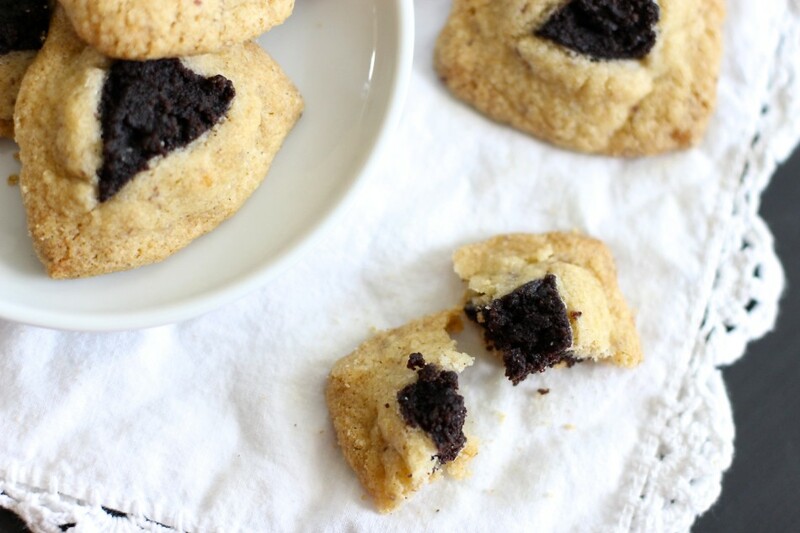 The cookie may break apart and the filling very hot if eaten immediately. Baked cookies can be frozen in a sealed freezer-safe container after cookies have completely cooled (after at least one hour) to be thawed and enjoyed up to a month later. Note: It is not absolutely necessary to transfer the cookies to a cooling rack: if you like softer cookies omit this step and continue to cool for another 10-15 minutes. The cooling racks just help make the cookies firmer as the air circulates around them. 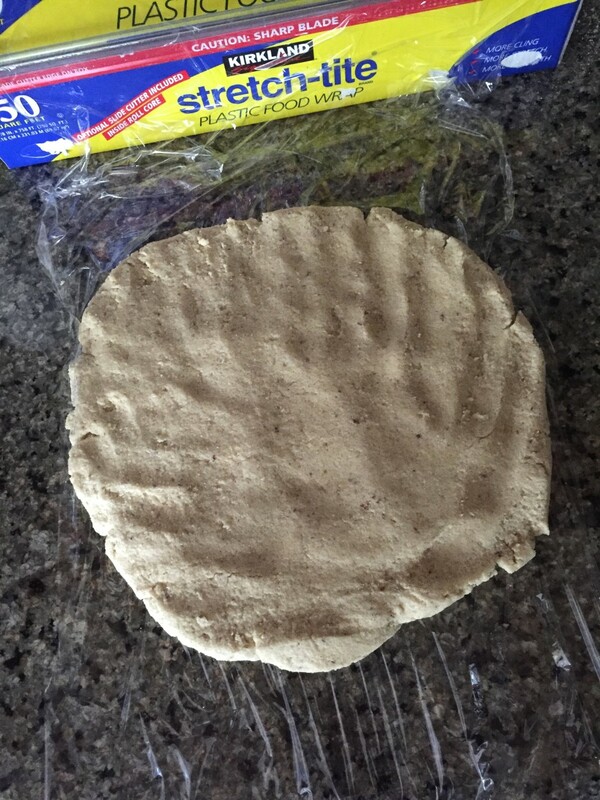 To freeze raw cut dough: Place the first parchment of cut rounds onto a rimmed half sheet baking sheet (pan) as you would for baking. Directly above the first layer, set the second parchment sheet of cut rounds and, repeat as needed. Once all the layers have been stacked, wrap with plastic wrap (completely covering the baking sheets) four times to ensure there is no freezer burn or tampering to the flavor of the cookie. When ready to fill, thaw for 20-30 minutes, or when easily bendable and fill with poppy seed (or jam) filling. Can be frozen for up to 3 weeks. *After adding all the flours into my bowl and then writing down the total weight, I realized that I didn’t write down each flour weight.The total weight is important for successful results. As noted above: 13¼ ounces for a mix and 13½ ounces total for flours listed including psyllium husk. *I refrigerated the flax seed meal (something I haven’t done before) to see if it will be a thicker consistency; it is slightly thicker but I can’t really say I’ve seen a notable difference in the dough by chilling the flax. 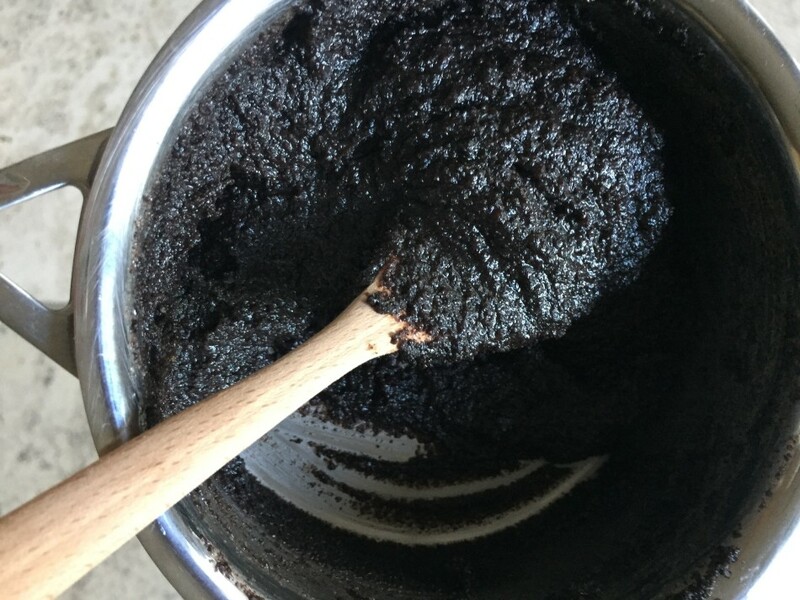 *I’m trying to use less xanthan and guar gum (as I did in my jam filled), so I’ve swapped it out for ground psyllium husk this year (It’s cheaper to buy the flakes and ground (in the food processor) yourself. It will keep for years and an excellent sub for gums and a great source of soluble fiber. *Rolling out the dough any thinner will tear when forming the shape since there is no egg (or gluten) to bind the dough. *If you do not have a cookie cutter, use a drinking glass. *If this is your first time making Hamantaschen cookies try cutting out one or two at first, then fill and shape to see if the thickness does not produce any tears or cracks since actually measuring dough thickness is not very practical. When you have the right thickness then continue. This is how I started and continued to do so a few times before eyeballing the right thickness. *Be sure to pinch the corners well, lifting the shaped cookie to check the bottoms, if needed. Brush wet mixture over exposed areas to seal before baking. *I used red palm in this recipe and found it made the cookies appears more golden in color to mimic the use of an egg wash.
*I filled half the yield with poppy (froze half for later), half with morello cherry jam. The poppy filling will fill 35-40 cookies with about a spoonful left over to top whichever ones could use a little more - doing so won't spill over like jam would. *I forgot to photograph the unbaked poppy filled ones and the brushed on wet mixture (got caught up in cookie making so note to brush wash around the edges before pinching. Any cracks can be sealed with an additional brush of wet mixture. I fill generously for an even cookie to filling ratio, use less if you prefer more cookie. For me, folding tends to break the dough given there is no egg. If it's easier for you go ahead and fold, whatever works best! 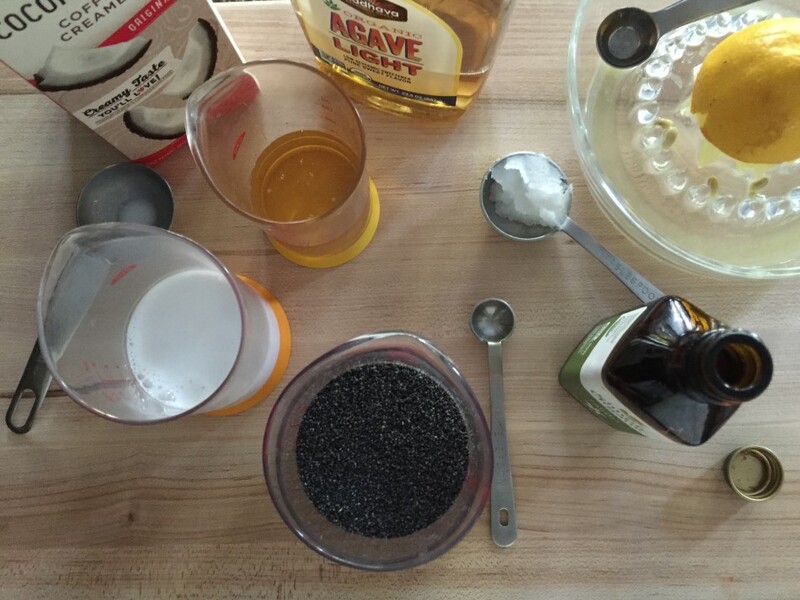 If you like an orange infused cookie: add ½ teaspoon of orange extract to the dough (after the flax mixture) - orange and poppy go very well together. Any flavor of preserves is a delicious alternative to poppy. 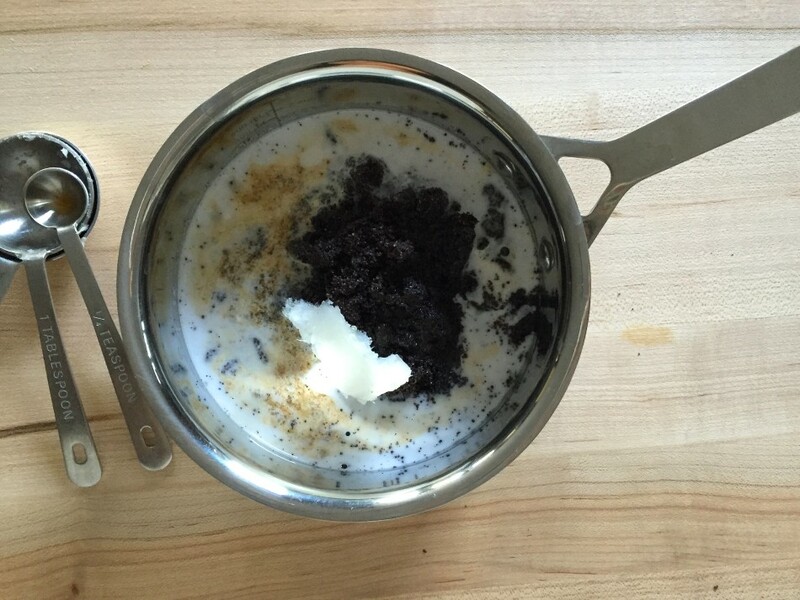 Use golden flax meal for a lighter, less speckled cookie. Both will yield the same results. 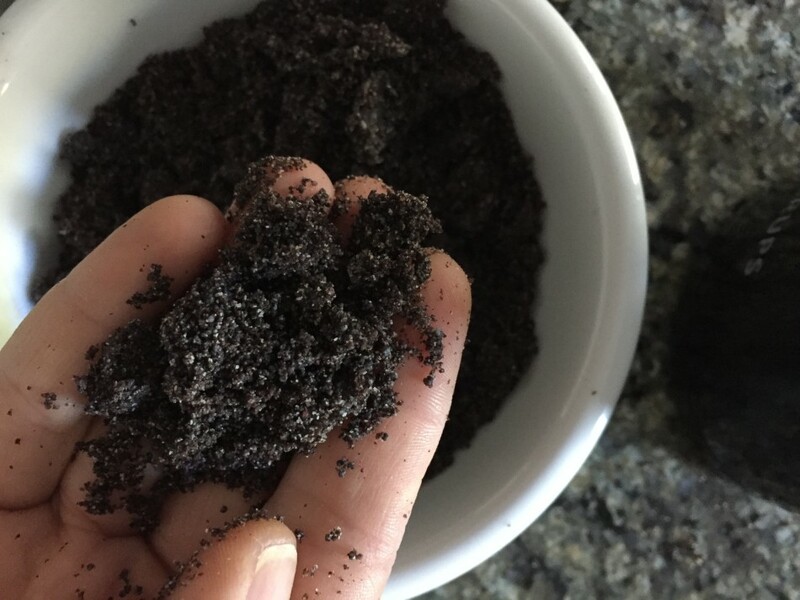 Alternatively, you can use ground chia seeds instead of flax seed meal for the egg substitute. On using eggs: If you can tolerate eggs, sub the flax seed meal for 2 whole extra large eggs. Use an additional egg with a splash of water for the wash.
My little one is celiac and I thought that she won't be able to celebrate Purim the same as the other kids because of her diet restrictions. Thank you for this recipe. It looks delicious. I'm going to double the recipe because 35 cookies will definitely not be enough. Ha! It's never enough. So happy to share and happy to hear your daughter will get hamantaschen cookies that I hope she will enjoy! I have always loved poppy filled cookies but can't have the ones at the bakery with gluten and dairy, last year the poppy filling came out too runny and oozed all over. I see from the photos I turned if off too early. :( Thanks for the many helpful notes and photos. Making this tomorrow! Hope this year are like the ones you remember and the photo guide is helpful...enjoy!! Aw, that is so sweet, thank you so much! I hope you all love them as much as we do! As a kid my mom always filled them with raspberry or apricot jam. 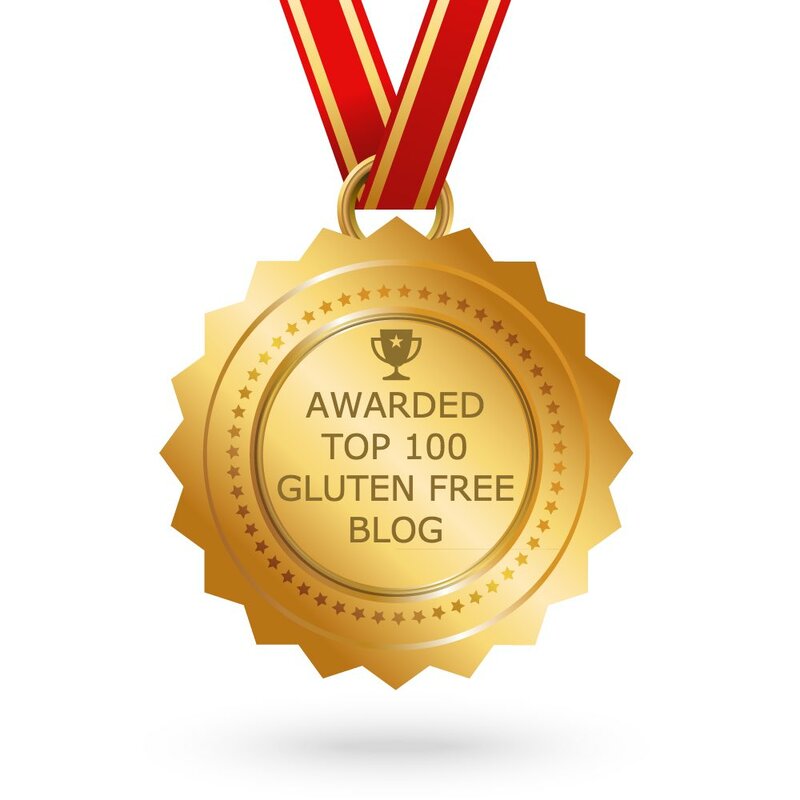 It's hard to find find a gluten and dairy free version, usually one or the other. Thanks for sharing one of my favorite holiday cookies that I can eat! Agreed, so hard to find both gluten & dairy free. My pleasure, enjoy! How long will they stay fresh at room temperature? Thanks. They will stay fresh for 2 days at room temperature (lightly covered) or refrigerated up to 5 days. Cookies came out beautiful! I am so pleased with the results and they do taste buttery. Great recipe! So happy you enjoyed them! Happy Purim! Cookies came out wonderful! I used egg instead of flax mix and brushed with egg wash. Poppy mixture thickened after it cooled and delicious even on its own. Happy Purim and thank you for cookies to share and celebrate with! Yay! Happy Purim to you too! !